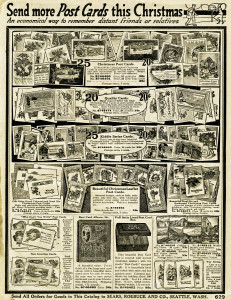 This vintage catalogue page encourages sending more post cards as an economical way to remember distant friend or relatives at Christmas time. The page includes a variety of Christmas post cards. Also for sale on this page was a post card album and a post card box for storing post cards. 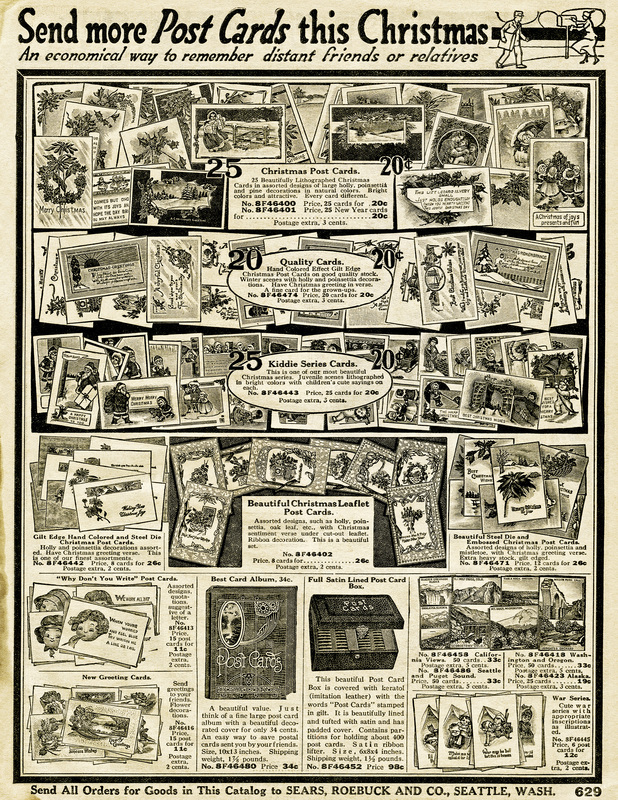 The page is from the 1916 Sears Roebuck and Co. winter catalogue. Click on image to enlarge.